The 'Into the Pixel' jury chose some fine examples for 2016. The Into the Pixel jury has chosen the 2016 winners for its E3 art collection, and it's clearer than ever that video games can inspire artwork you'd be proud to hang on your wall. 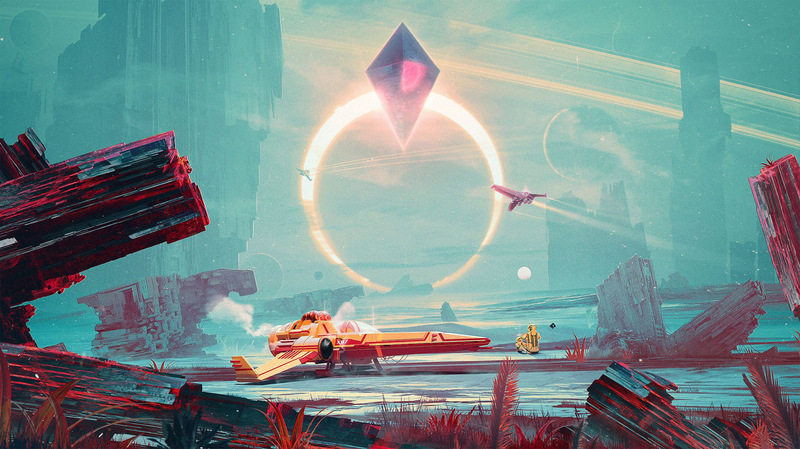 The 14 selections are mostly from titles where visuals not only play an important role, but set the tone for the entire game -- the sci-fi novel look of No Man's Sky gets its due, as does The Witcher 3's brooding fantasy atmosphere and Unravel's miniature world. There's even art from a virtual reality game (Insomniac's Edge of Nowhere) breaking some ground. Most of these pieces are concept art or models rather than what you'd see while playing, but they're worth a look if you've ever felt that game art is just as creative and thought-provoking as what you'd find in a gallery.